Blue suede shoes seem right for Memorial Day no? Here's a way to double your creativity - spritz yourself all over with blue paint like Jean-Paul Goude did to Jean-Paul Gautier! 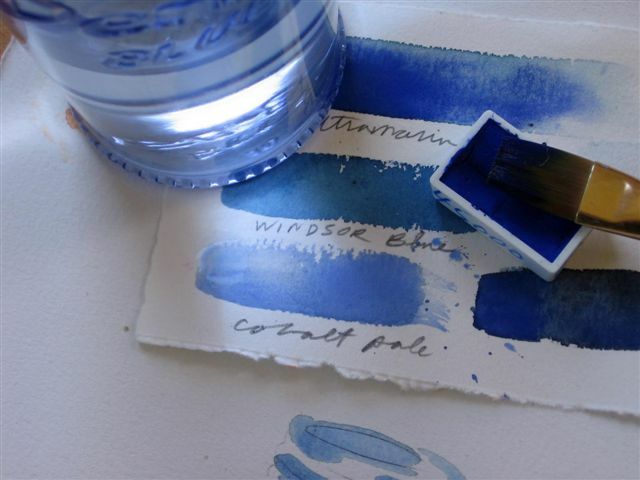 One of my favorite shots of French ultramarine blue watercolor swatches. Have you noticed how French moms and daughters dress alike in Paris? Blue bag + blue dress. All she needs are those blue suede shoes. I saw a lot of blue in Paris. A stunner of a bleu wall at an art show in March. A touch of bleu at the show. And their prices are nothing to get bleu about either. Have you seen Nicole Robertson's gorgeous (means multi-colored Ha!) 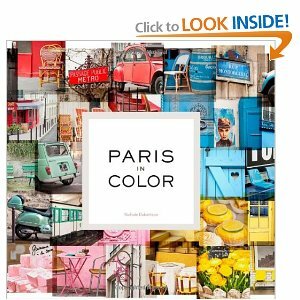 new book on Paris In Color? 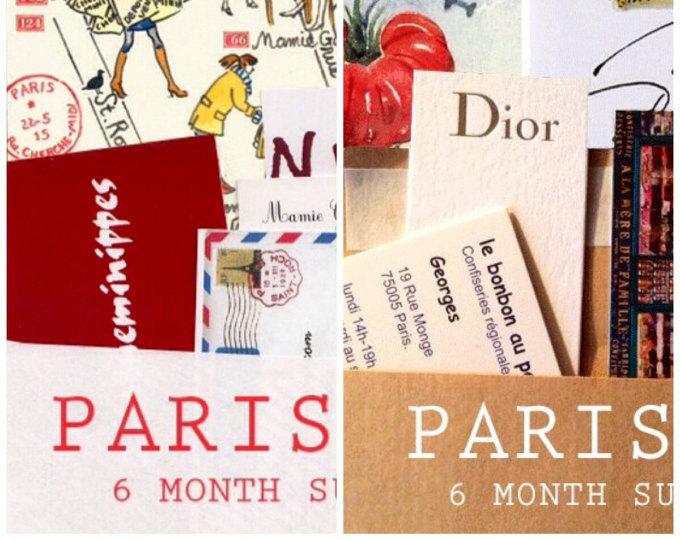 Nicole of Little Brown Pen lives in Paris full time. 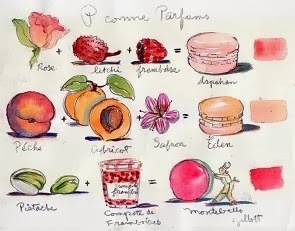 Take a look at her blog and swoon or get ze book and look offline whenever you want to sink into Paris colors. Do not ask my why? Something I never see around here: those shots of blue clothes on the mannequins - how to say this? Something about the mannequins "stands out"....anatomically correct breasts! For cobalt blue sunglasses -target and they are rubber! Not very dark though. You are ALWAYS a fountain of knowledge Jeanette! Oh they are OUT-OF-STOCK and pale, pale turquoise blue Dahlink! I also saw an place for you in Paris on House Hunters International..a mere 1 million Euros..and small....Oy. ...maybe because those lunette signs are so cool. Many years ago, I painted that very same shade of blue on a wall that's sort of a focal point in my home (Crayola paint meant for kids' spaces of all things) and a stunner it is....it never gets boring. Adore those sloppy bows on the shoes ! You have really gotten me thinking about that blue bleu. I became very obsessed when I was in Paris, with the street workers' blue salopettes. Such a gorgeous color. I tried to find some to buy but was unsuccessful. 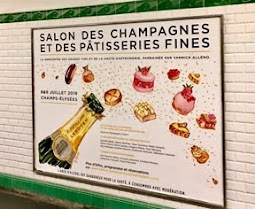 When I explained to Parisians what I was looking for they thought I was absolutely CRAZY!!! Worker's blue coats are exactly the same intense cobalt/ultramarine blue-there is a special store-it begins with T.
I know. Isn't Bill Cunningham brilliant??!!! Of course you're on the same blue wave length! I am in love with French bleu. Love those shoes in the first photo. When in France the last time I tried to visit http://www.bleu-de-lectoure.com, but they were closed. I was so sad. Do you know this place? I want to buy some of their blue paint to paint the door on my greenhouse. Gorgeous bleus! Thanks! Oh you're talking about 'woad' blues which I believe are fugitive colors are they not? Yes you have to plan these visits in France - they have a million holidays etc. If you happen to be in DC, you might check out Lou Lou's for blue accessories. Earlier this year I bought the best color of blue in sunglasses and a purse. My girlfriend found the nicest blue watch ever. what about BLUE CAKE! ? Like the idea of spritzing with the blue ink!!!!!! Think I'll give it a go. You know that I love blue! Wow, quite a collection of shots! I drive a light blue Vespa and my dog Bella wears light blue goggles. We should have been on exhibit! Are they those 'Doggles' I showed previously? You have certainly captured Yves Klein! 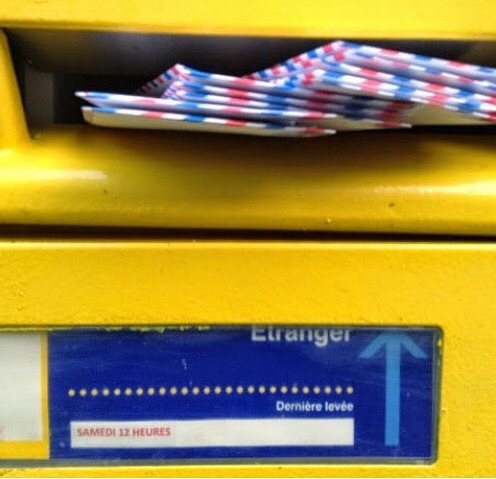 PS no "Bleu Marine" pleasein June. For the GREAT YVES KLEIN LINK! This is the only blue I love as much as turquoise & they are great together too! Now that it's summer, I cannot WAIT to go summer shopping! And one of the things on my list is a new pair of bright sandals - either in that exact shade of blue that you have in the first photo, or in a coral red. Love your blog. I can't quite make out the make of those stunning shoes. Who makes them? You have to CLICK on the picture A.
i just discovered your website and i have to say it is pretty inspired. I just walked past that hotel the other day. It does look very inviting. Pure blue skies in Paris today! My favorite color but not on pastries... I have only seen once a blue one, at Park Hyatt... A little bit weird ! 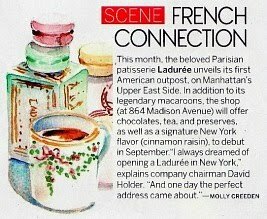 BLue food is generally a no-no but Gerard Mulot does not obey the rules with a bleu macaron tower.